Invisalign is an alternative to traditional train track braces. 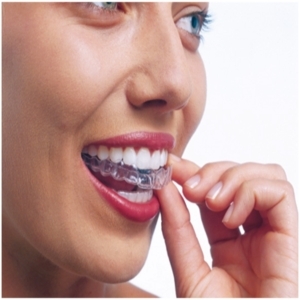 Invisalign uses a series of see thtough gumshilds (aligners) to straighten your teeth. 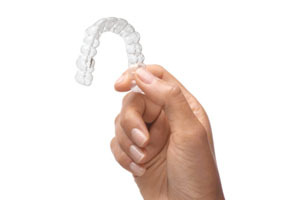 Theses aligners need to be worn full time but unlike traditional braces, can be removed for eating, cleaning your teeth, and for special occasions. Invisalign uses state-of-the-art CAT scanners, rapid prototyping manufacturing techniques and computers to fabricate your aligners from impessions sent to them by Dr Alcock. Each aligner is slightly different, moving your teeth gradually into the desired position. You wear each aligner for two weeks, before moving on to the next in the series. 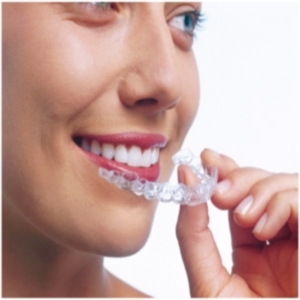 As you move through your aligners your teeth continue to straighten until you get the smile you have always wanted. Treatment length will vary depending on your case, but the average Invisalign treatment is twelve to eighteen months. Invisalign’s treatment software allows you to see a model of your proposed treatment, before you start. Please click here to see an example of Invisaligns treatment software.